The Iris, named from the Greek Goddess of the rainbow, offers a bright blue/purple bloom which opens to reveal its hidden yellow neck. Choose this springtime flower to mesmerize eyes in your floral arrangements. 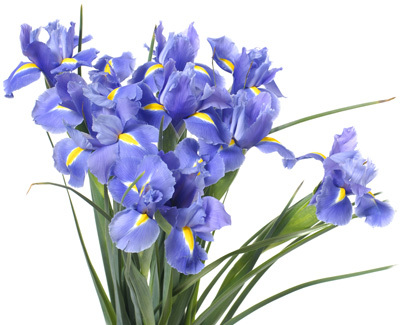 A shipment of our fresh Iris are sold at wholesale prices.